In college, Bassam read many of the great poetic classics including William Blake and Lord Byron. They was a philosophy major, insistently searching for “metaphysical purpose,” as xe describes it in an interview with The Utah Review. Bassam will perform June 24 at 2 p.m. on The Big Mouth Stage at the Utah Arts Festival. “It was a confessional and philosophical time,” Bassam explains, adding that the list of writers included Plato, Descartes and Kant. Then, five years ago, xe started performing at poetry slams and it fueled a rapid blossoming in Bassam’s voice as a poet and performer. In 2016, xe was the national slam champion at the Canadian Festival of Spoken Word (CFSW) with the Guelph Poetry Slam team and was a Canadian Individual Poetry Slam (CIPS) finalist in 2017. I did fall in love with the idea that the audience was listening and interested in what I have to say,” Bassam says. Bassam’s work signifies a complex identity as a (gender)queer, Jewish person of Middle-Eastern descent (of Levantine Arab heritage and converted to Reform Judaism), who also deals with the personal issues and impact of body dysmorphia, bipolar and eating disorders. Bassam, who lives in Vancouver, uses Turtle Island, the name many indigenous groups refer to in place of North America. But, these are not just gestures of identification. The prominence of spoken word poets, who acknowledge their complex, layered identities, has expanded linguistic possibilities that are explored more confidently to cast off patriarchal and colonial perspectives and conventions that deny language’s natural evolutionary characteristisc. 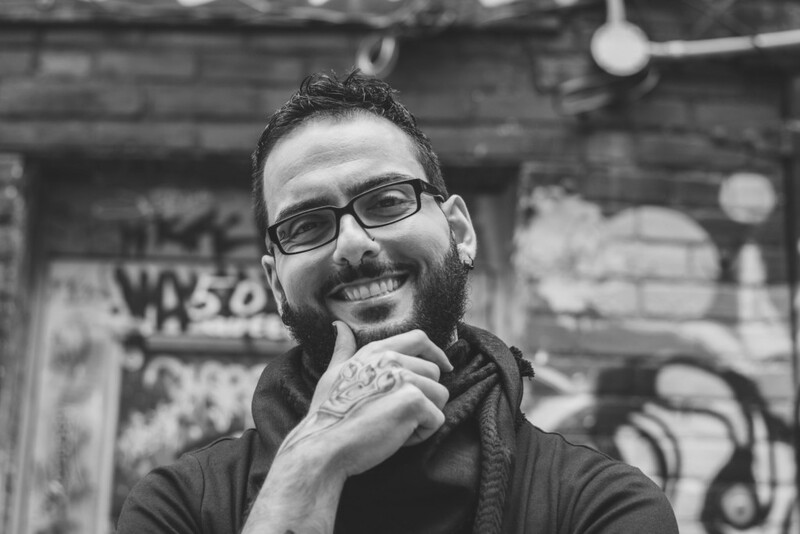 As Bassam’s body of literary work grows, there also have been solid efforts to highlight the voices of Black, Indigenous, and People of Color (BIPoC) writers in Canada, especially in offering mental health narratives that counter those where bigotry is justified in the discussion of such issues. Last year, Bassam asked BIPoC writers to submit work for an anthology titled these pills don’t come in my skin tone, a project inspired by interactions with the Canadian spoken word poet’s community. Another anthology is expected later this year. The first edition featured 30 works, mostly poetry and some artistic renderings but everyone was published. The call for submissions already has been made but Bassam says none will be reviewed until the deadline passes later this summer. “If there are 100 submissions, we will publish all of them,” Bassam adds. And, the publication offers the desperately required counterpoint to those who conflate and reduce all mental health issues and concerns about treatment and access to authoritative, capricious denominators. 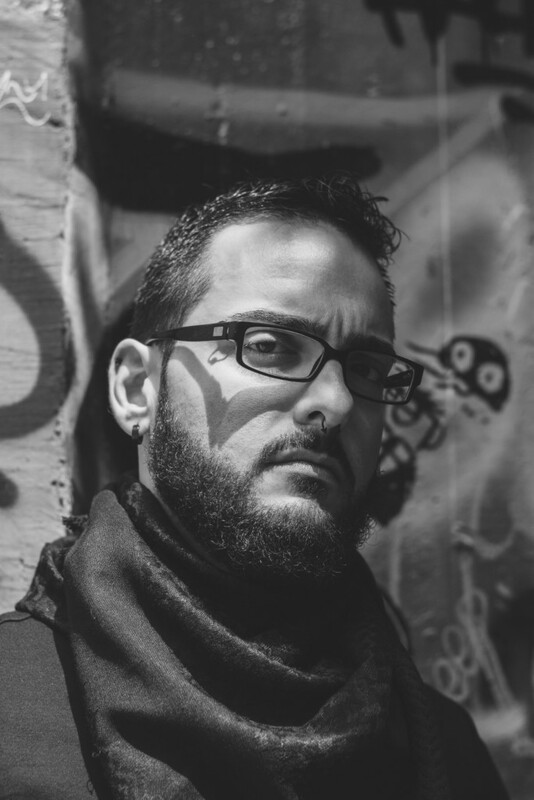 As Bassam notes, BiPOC communities are dealing with the marginalizing effects through many channels – from those sustained by the long-term traumas associated with colonization, slavery and human trafficking to the international warfare that has displaced citizens and set a large-scale refugee movement. There are specific psychological impacts related to circumstances, whether they are a result of Middle East geopolitical turmoil over the last three decades or the even longer impacts experienced by First Generation Canadians. These insights are essential to correcting the problems of racialized experiences, especially when BIPoC individuals have been ignored, left behind or incarcerated in their communities or who are living with mental health illness but cannot afford medications or counseling that directly addresses their culturally relevant experiences. Bassam also has been clear in opposing the Israeli occupation in the West Bank and Gaza and calling for a free Palestinian nation. In one piece, the poem (Hockey Intifada) compared the Middle East conflict to a hockey game. “I’m not a hockey fan but it became useful to draw up the comparisons to make the point about nationalistic fanaticism,” Bassam explains. Bassam’s appearance at the festival this year coincides with a gradual discovery and enlightenment among artists in various venues about their personal challenges, the willingness to communicate their vulnerabilities as a way of finding empowerment through empathy. Likewise, this Canadian poet and performer sees the value of “radical vulnerability,” as referenced in an interview last year at Open-Book.ca. One example is a recent publication, bliss in die / unbinging the underglow, a collection of painful personal redemption poems dealing with body dysmorphia and eating disorders. The book was published by Swimming With Elephants Publications, based in Albuquerque. Bassam also offers instructive insight to writers about the value of feedback and revision, noting that “no cow is so sacred” that it cannot be subjected to critique. Feedback is a gift, not about the one offering it as a gesture of gaining power but Bassam also acknowledges that writers do understand the fine line distinctions in criticism that is constructive and positive and in other instances is negative and intended to be self-served. Ultimately, though, feedback for a writer can be the essential step toward being fulfilled completely in the creative experience.